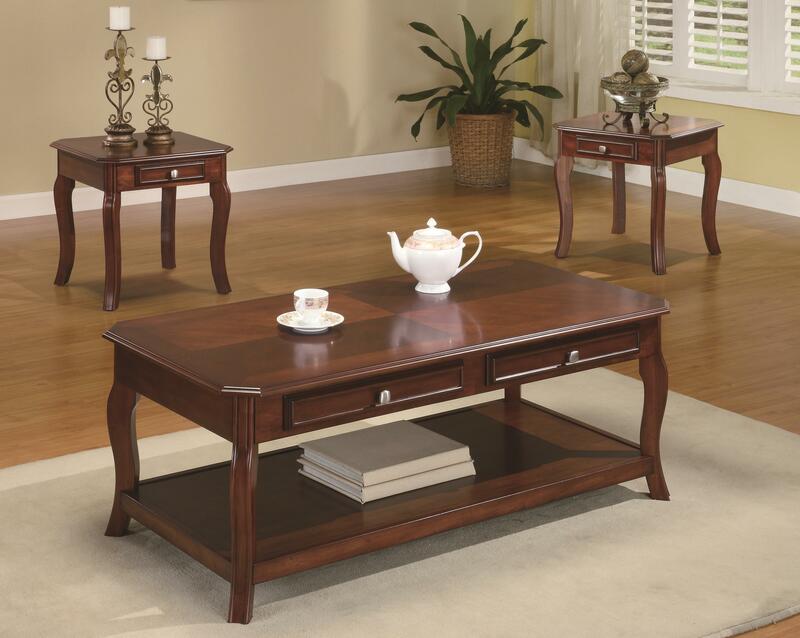 This three piece occasional table set offers a slightly updated take on traditional style. The elegant curve of cabriole style legs speaks to this end table group's traditional inspirations, while a unique parquet inlay design brings a two tone look to the table surfaces. The rectangular coffee table features two framed storage drawers with nickel look hardware and a lower shelf that's ideal for stacking books, baskets and decorative accents. Two matching end tables further enhance the functionality of your living room with a storage drawer on each. A warm cherry finish wraps each piece and further refines the traditional styling of this three piece occasional table set. 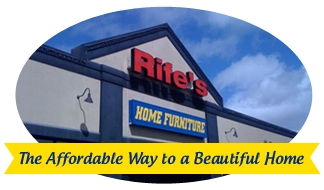 The Occasional Table Sets Traditional 3 Piece Occasional Table Set with Parquet Top by Coaster at Rife's Home Furniture in the Eugene, Springfield, Albany, Coos Bay, Corvallis, Roseburg, Oregon area. Product availability may vary. Contact us for the most current availability on this product.